Welcome back to another exciting episode of Comic Book Chronicles! After taking the week of Thanksgiving off, Agent_70 and a sickly Roddykat are back with two weeks worth of comic book goodness! 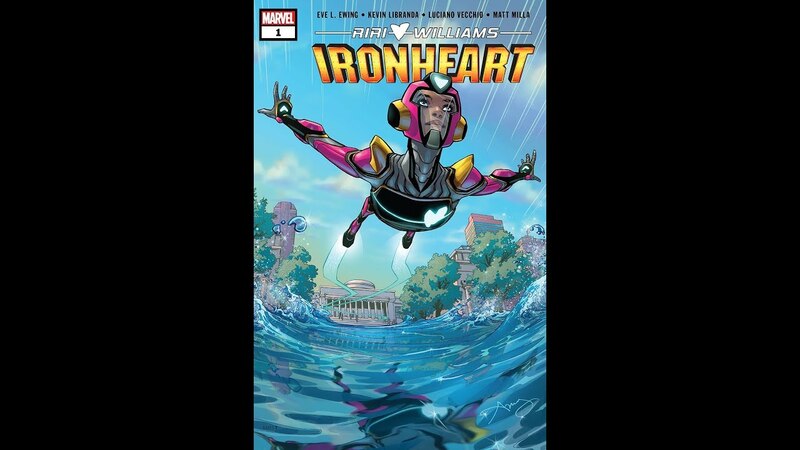 Eve Ewing’s highly anticipated Ironheart book see #1 at Marvel, Issue 3 of Heroes in Crisis is out at DC and bunch of other great books came out over the past two weeks. There’s also two weeks worth of cinematic and comic book news to catch up on, and a bounty of #kliqsoftheweek for your perusal pleasure! Final Street Begins This Summer! 9 Days To C2E2 and The Bitcoin Comic Handbook! Fans of Power 146 - Ninjor Comic Story, Penny Dreadful's Power-Con Experience and More!